Hiya. 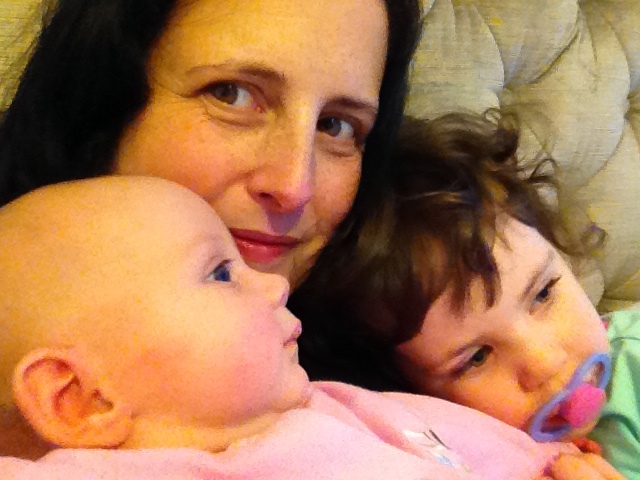 My name is Donna and I’m a mum of two small people – Little B (3) and Littler B (7 months). We live in East Belfast with my husband Mr B, and have just moved house into what I hope will be our forever home. I’m an older mum, the wrong side of 40, and at the minute I’m home with my girls. I used to have quite a ‘cool’ job, working as a radio and TV presenter, but mostly stopped doing that after my first child was born. Since then, I’ve worked as a tutor, working in the creative industries sector. I’ve also done a bit of writing about music and the arts, so this blog seemed like a fairly natural thing to do now that I’m a stay at home mum. I plan to write about MY adventures in parenting. This will not be a ‘fluffy, look at my wonderful perfect life’ type of blog. This will be the warts and all depiction of life in Belfast with two kids. The majority of these posts will have been generated by my warped mind and things that happen in my life. My views are my own, and while I am PR friendly (I think), I will be completely honest if there is anything remotely ‘sponsored’ about a post, and will only consider working with brands/companies/events that are in line with the content of the blog.